Perfect for entertaining, the Viera Sideboard by Rugiano provides plenty of storage for your favourite glassware and tableware. Featuring six spacious compartments with a matt lacquer interior, this designer piece expertly combines both form and function. The Viera Sideboard is available in a range of beautiful finishes including Pelle leather, ebony wood and polished lacquer. An elegant and classic design, Viera shows the skilled craftsmanship that is used for every Rugiano piece. 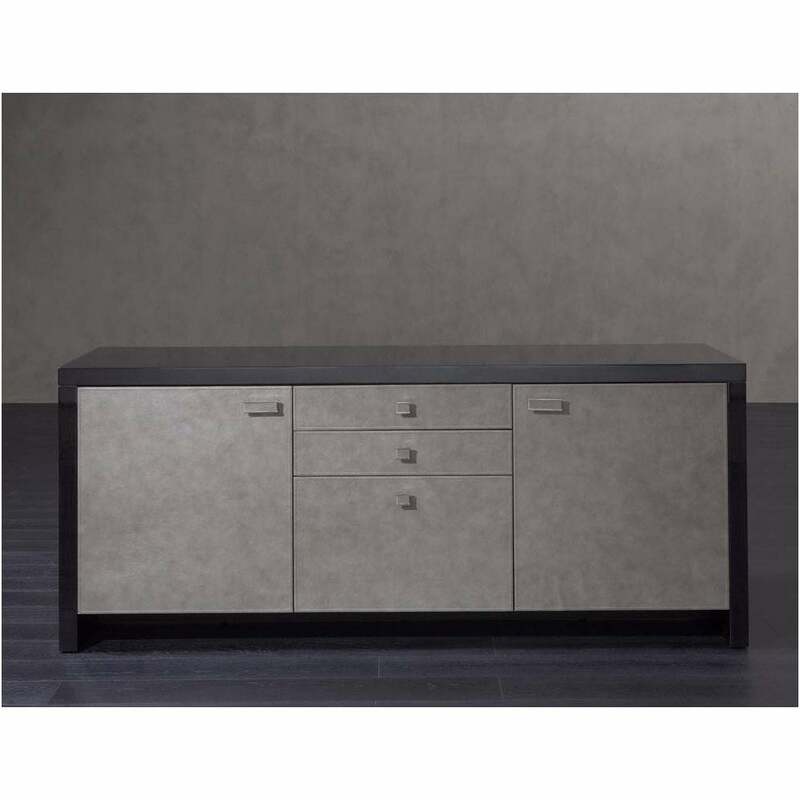 The sideboard is completed with steel or bronze detailing for a luxurious touch. Available in 2 sizes. Get in touch with our team to discuss finish options and to receive samples.